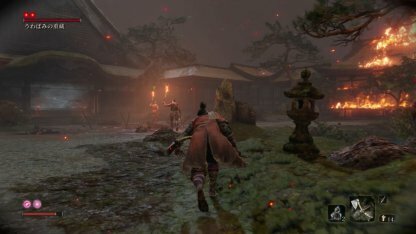 Check out this Sekiro: Shadows Die Twice guide & walkthrough from Hirata Estate Main Hall until the boss fight with Juzou The Drunkard. This includes gameplay tips, hints, techniques, tricks! 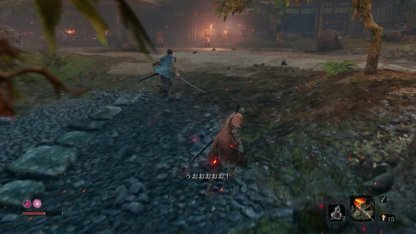 Since it takes some time for the Archer to shoot his bow at you, you can dash forward and attack while they're drawing their bow. 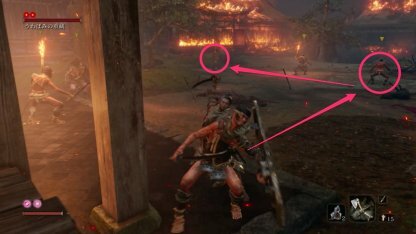 Alternatively, you can also throw a loaded Shuriken at them to disrupt their attack. After defeating the archer, look up. There will be a roof to the upper right side portion of your screen. 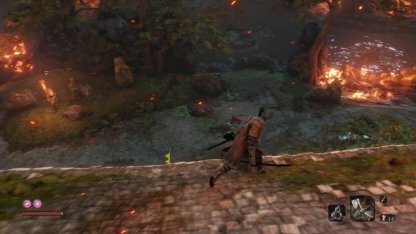 You can grapple to this roof to progress through the area. While following the roof's path, there may be times when the structure will give way. 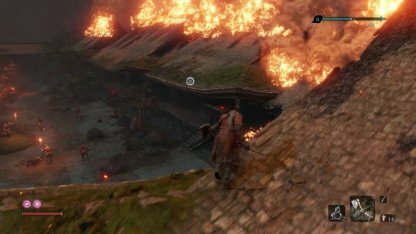 You can still traverse this area using your Grappling Hook. While doing this, enemies may notice you. No need to mind them since they can't get to you. Once you are at the pond area, get off the roof, and enter the pond. If you reach a dead end on the roof due to a large fire, look to your left and you should see the pond. Once inside the pond, circle around the area clockwise. You should come up to a room with 2 enemies, each guarding a side of the door. 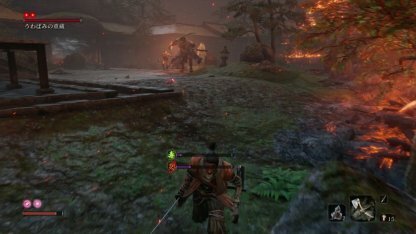 Prioritize killing the enemy without the Torch first. 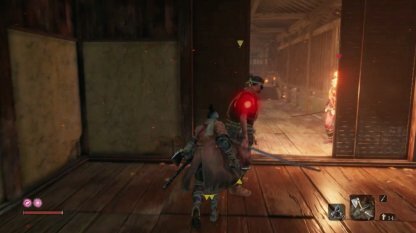 Sneaking up to him will allow you to instantly kill him with a Deathblow. The other one can be taken care of since he will attempt to summon backup and will not attack. Don't forget to set the oil as one of your quick items. Three of these should be enough, but it would be better to have more. This will allow you to use them in conjunction with the Flame Vent Prosthetic Tool to deal tons of burn damage! There will be an ally ready to help you in your fight against Juzou the Drunkard. This ally can be found in the middle of the pond. However, do not talk to him until you've defeated all the lower tier enemies. 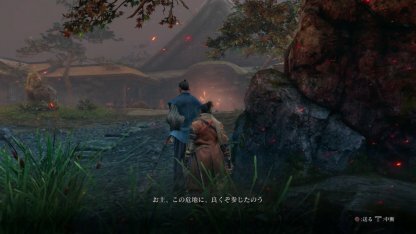 If you talk to the ally, he will start attacking enemies after the dialogue. Only talk to him when you've defeated all other enemies so both of you can focus on defeating Juzou the Drunkard. Your ally is very durable due to a large HP pool. 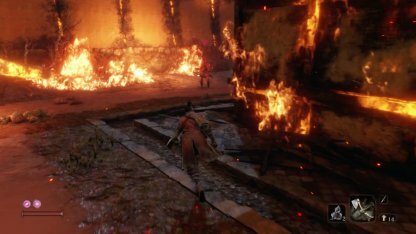 However, he will start to get overwhelmed when he has to face 2 or more enemies. It is best to eliminate the other enemies first in order to ensure his survivability. 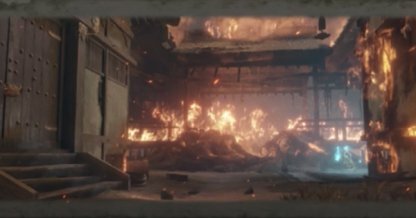 After defeating Juzou, enter the building behind him. There will be no enemies here, and a Sculptor's Idol can be found on the left-side room. Check Out How To Use Sculptor's Idols Here! Check How To Beat Juzou the Drunkard Here! Shielded enemies may prove to be a nuisance since it is difficult to break their posture. 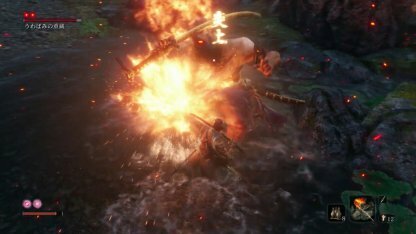 However, initiating the fight with a Stealthy Deathblow will instantly finish off this enemy. Your next order of business is to get rid of the most number of enemies. Prioritize those on the frontlines since they can surround and flank you. Any Bow wielders should be killed as well so they can't shoot at you from range. 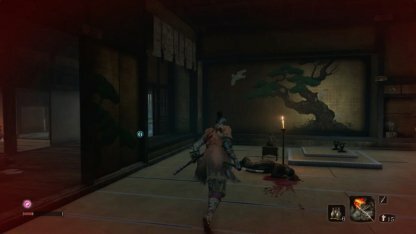 After defeating the archer, Juzou will start to attack you. 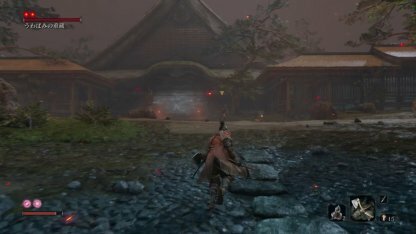 Since there are still some low level enemies, prioritize them first. Head back to the pond, and finish off enemies that follow. Juzou is slow giving you enough time to kill other enemies. It is important to draw the enemy's aggro in order for you to bottleneck them in the pond. If they are not following you, draw their attention by letting yourself be detected. Use your Loaded Axe Prosthetic tool to obliterate any enemies with shields. 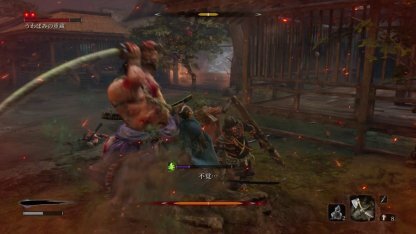 The tool can also leave them open for a follow up Deathblow once their shields are destroyed. Check Out The Loaded Axe Tool Here! 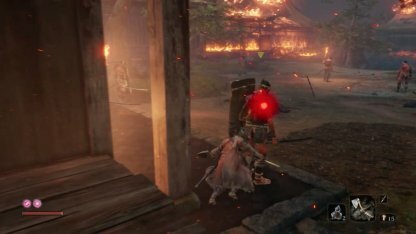 By this time, enemies may start to head back to their original position since they haven't seen you for quite some time. If this is the case, you can go ahead, and instantly slay them using Deathblows. Check Out How To Use Stealth Here! 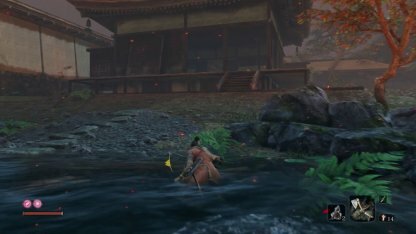 By this time, your ally should be coming up from the river to assist you in battle. If he has not yet done so, approach and talk to him. 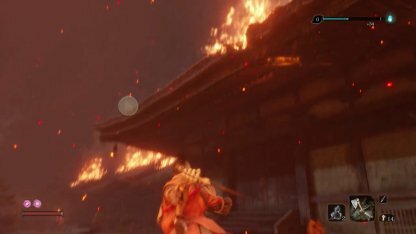 You can throw the oil at Juzou and light it up with the Flame Vent to deal significant damage. It is best to use this after he does 2 consecutive attacks since there will be an opening after these attacks. Check Out The Flame Vent Tool Here! Juzou will often attack using 2-3 consecutive attacks. If you are not yet confident with your deflection skills, it is best to block them instead. Remember to evade when the Perilous Attack Kanji appears!